★Feature:Chronograph second,Chronograph minute,24-hour,date and cutout hands with luminous tips. 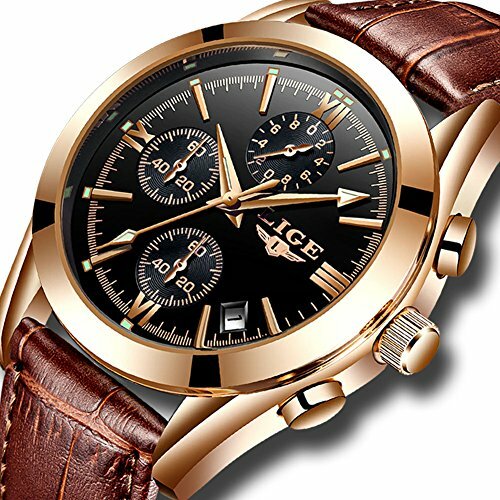 ★Multi-function:All sub-dials and buttons are functional,Full Functional Chronograph,30M waterproof and Date Display. ★Design:Analog dress watch casual design,leather band,roman number time mark with the simplicity of business casual,bring you back to the classic.Also make it a great gift for family or friends.